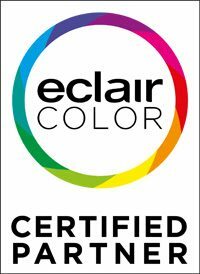 Paris (France) and Los Angeles (Calif., USA), (January 19, 2018) – Ymagis Group, the European specialist in digital technologies for the film industry, today announced the launch of a Professional License Program for its EclairColor HDR solution in favor of independent film laboratories, content services companies and projection system integrators. EclairColor is an affordable high dynamic range (HDR) solution used by filmmakers and content creators that significantly enhances the cinema experience by bringing richer colors, greater brightness & definition, more depth of field and more density to the screen. There are currently more than 120 EclairColor-equipped cinema screens with content released in EclairColor HDR every week for a total of 60 feature-length films to date. For the complete list of cinemas equipped with EclairColor HDR and EclairColor-mastered films, visit http://www.eclaircolor.com. EclairColor is a registered trademark of Ymagis Group. Founded in 2007 and managed by professionals from the motion picture and high-tech industries, Ymagis Group is a European leader in advanced digital technology services for the cinema industry. Through CinemaNext and Eclair, the Group provides smart and comprehensive solutions to movie exhibitors, distributors (feature films & event cinema), producers, rights holders, cinema/TV advertising networks, broadcasters, OTT channels and video publishers. Over the years, Ymagis Group has significantly grown its portfolio of solutions & services and further developed its geographic footprint with permanent offices in 25 countries. The company’s core business is structured around three main units: CinemaNext (exhibitor services: sales and field services, software solutions, customer service/NOC and consulting), Eclair (content services: post-production, theatrical delivery, digital distribution, versioning and accessibility, restoration and preservation) and VPF (financial services). A publicly-traded company listed on Euronext, Ymagis Group is headquartered in Paris (France) and counts close to 750 employees.